A recent analysis by Ben Gitis of the American Action Forum found that just 1.9 percent of all wage and salary earners make the minimum wage or less. Just 0.3 percent of people in families with incomes below the poverty line make the minimum wage or less — and just 1.5 percent make less than $10.10, the level that Democrats have suggested for the next hike. Applying the most recent academic research, Gitis also found that such an increase would reduce employment by more than two million jobs. Many of those jobs are the first work experience for teenagers and young adults. Gitis found 36.6 percent of minimum wage workers are teenagers. The liberal Center for Economic and Policy Research found that more than 60 percent of fast food workers – the heart of liberal advocacy efforts – are 24 or younger. The minimum wage has already priced a scandalously large number of young Americans out of jobs, denying them crucial work experience and the first step on the ladder of economic opportunity. 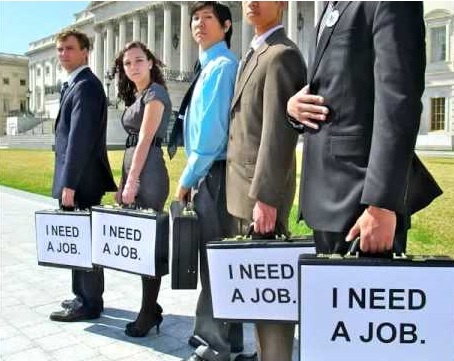 While unemployment for adults age 25 and over has now dropped to 6.2 percent, the teenage unemployment rate is still over 20 percent and the unemployment rate for workers 20 to 24 is 11.6 percent. Since 1948, when the federal Bureau of Labor Statistics began tracking it, 20 percent teenage unemployment has been mostly unthinkable. It didn’t happen for a single month from 1948 until May of 1975, when the mark was reached for a brief fourth month stretch against the backdrop of an increasing minimum wage. It happened again for just over two years from October 1981 to November 1983 (and briefly again for two months in 1985) – just after the 1977 minimum wage increase was fully phased in – a 45% jump from $2.30 to $3.35. We saw 20 percent teen unemployment again for eight out of twelve months in 1992 following the 27% increase in the minimum wage that took effect in 1990 and 1991. And we’ve been living with it now for by far the longest period in history: every single month since November 2008 – right in the middle of the three-step increase in the minimum wage that raised it more than 40 percent. That’s five full years. The peak of 27.1 percent teenage unemployment came in October 2009 – just two months after the last minimum wage spike took effect. Unemployment among workers aged 20 to 24 has been above 10 percent even longer than teenage unemployment has been above 20. We have, in effect, an entire generation in which millions of people are reaching age 25 without significant work experience. Why would we even consider raising the minimum wage again, right on the heels of the massive 40 percent hike that has wreaked such havoc on teenage and youth unemployment? A better idea would be to reform and expand the existing Youth Minimum Wage Program, which allows teenagers to work for as little as $4.25 an hour, but for no more than 90 calendar days and with other restrictions. The restrictions should be eliminated and a second sub-minimum tier should be created for workers between age 20 and 24. Then future minimum wage hikes – if they prove irresistible politically – can at least be targeted to adults 25 and over.